Yes, it is (still) an IDE disk (notice the wires from the IDE cable). The motherboard is an "A8V Deluxe" from Asus. As one can see, I once bought a Zalman harddisk cooler, more out of curiosity than necessity. When the two front "covers" are in place, then the harddisk gets warmer (I can not recall the temperature: 40-ish degrees Celsius or so?). So, although the harddisk does not get hot with the case closed, I'd like to ask the experienced PC modders here what I could do to keep the harddisk cooler. I was thinking of cutting out some kind of plastic "plate" and cut a circular hole in it and then put a PC fan grill in that. It would be abit problematic to keep that "plate" in place, but that should be possible. But since the hole would be open, a lot of dust would probably get into the PC case, right? Does anyone know of a way to keep dust from getting into the case? Do you have a better idea for a "hole" in the front of my PC? Since I was/am running out of space on my desk, I put together my own small, wooden "switch rack" and put it on top of my PC. 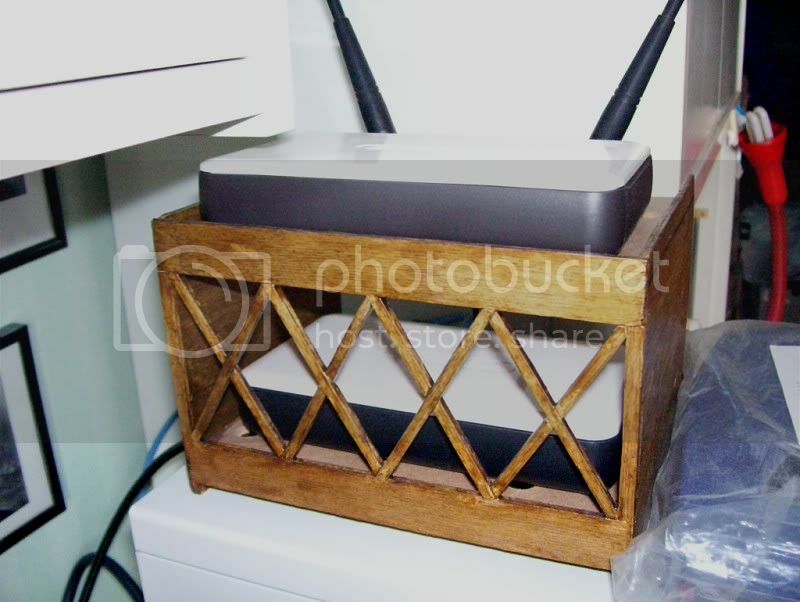 It holds a 5-port network switch and a wireless-access point/range extender, both from Sitecom. if you don't care at all about how it looks, you could easily dremel/router out the middle of one (or both) of those slot covers. then could throw a nylon over it to create a path of airflow that would limit the entry of dust. Many cases have an air gap between the plastic facia and the metal chassis which provides a channel for air to flow up from the bottom of the case. 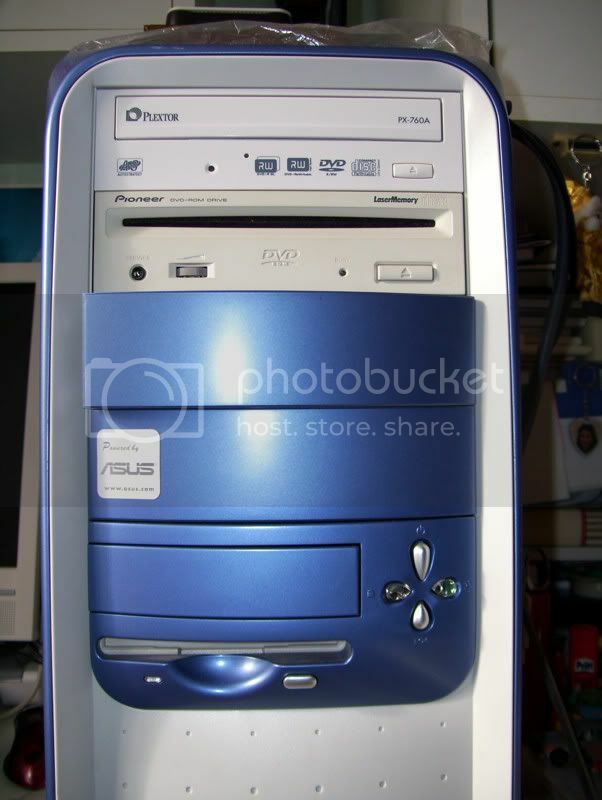 If your case is designed like this then you could just mount a fan in front of the HDD and keep the plastic facias unmodified. If you need the ventilation path to go through the facia then I'd be inclined to cut a square in one/both of the facia plates and then stick a fine metal mesh onto the back of the hole(s) with silicone sealant. The mesh could either be chopped out of an old speaker or bought from DIY store (stainless eteel soffit insect mesh). First, my sincere apologies for not having replied sooner here. I have been away on vacation to Cape Town, South Africa (and that's quite a trip, from Europe) and I didn't get back here until two weeks ago. I am still thinking of this small "issue". My PC case has 2 USB ports at the bottom front, so there is no room for a fan. I got a few ideas now, though. 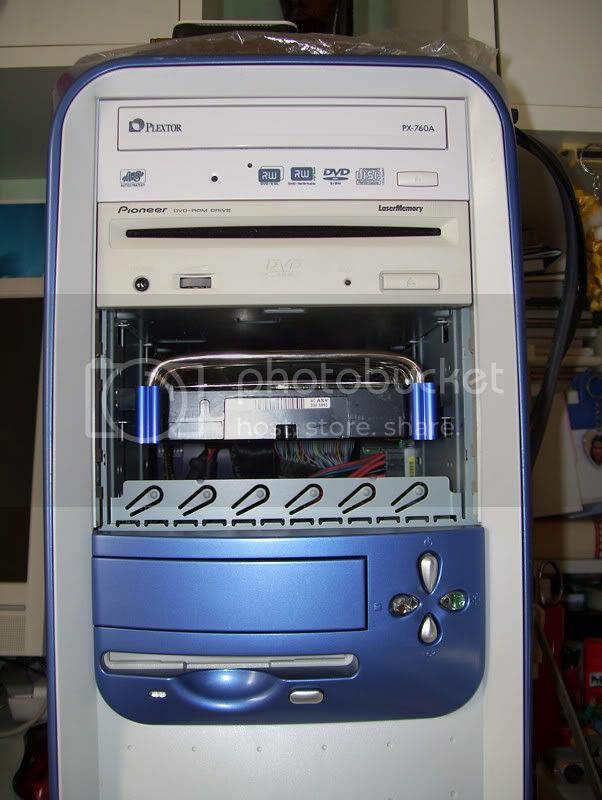 I have this old HP Vectra case: perhaps I can cut out a part of it, make a hole in it, put a dust cover in it and one of these "ventilator grilles" over it, and put that at the front. thank you very much for having taken the time to reply (back in September). There are hole saws with 1/4 inch shafts which will make a nice clean hole.